I know, I know! It has taken me forever to write part 2 of Bad Speller Untie. I receive such good feedback, I couldn’t just abandon part 2. I did think about it, however. Nothing has changed. I still can’t spell that well. LOL!!! Somethings are just a part of life and being a horrible speller is a part of mine. Although, I”ll never give up trying, the good part about it is that I laugh at myself often. I don’t define myself by my spelling ability. The other good part about it, and most rewarding, is that I give others like me permission to be themselves. 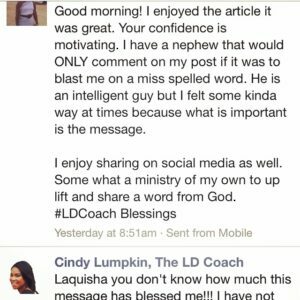 You never know how your story will impact others and that is why I am committed to telling mine. 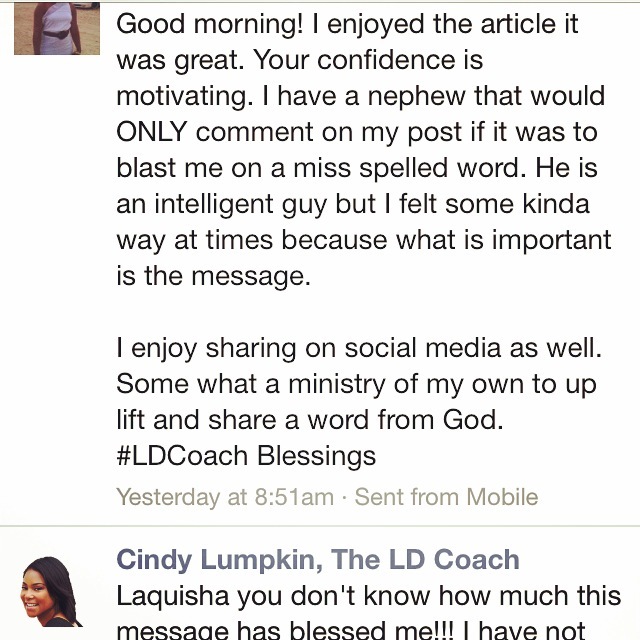 If I encourage just one, then my life lived out loud isn’t in vain. 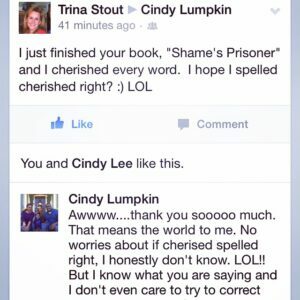 When I read the post my Facebook fan sent me upon reading Part 1: Bad Spellers Untie, I was overjoyed that she found me and my quirky ways motivating. I was very sad, however, to learn that someone, family no less, could rob her of what she loves doing so much. I think its a lesson for us all, no matter what side of the coin we find ourselves. The issues of Dyslexia are real and for those who have a lack of understanding or who are just down right mean can make matters even worst for us. But people can’t hurt you unless you give them power to do so. 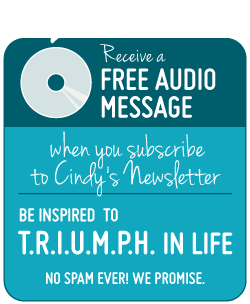 That is why I have decided that I would just put it out there for the world to know… Yes! I am Dyslexic. I can’t spell that great and reading isn’t my strong suit, but it’s a part of me. You either like it or you don’t. Your words can’t hurt me. They will not cause me to live under a rock. If you can’t stand to read a few spelling errors and the likes in my writing then feel free not to read it. BTW, you can keep your negative opinions and comments to yourself. That’s all! Some times we just have to adopt that of attitude. Once people realize that you know who you are and that their awful words can’t hurt you they often leave you alone. But if you continue to allow their words and actions to bother you they will continue. It’s sad to say, but they are really lacking in their own life if someone has time to read your posts and correct you. I say misspell away fan. As result of Part 1, one of my college life lines and family members reminded me of how I got by in college. 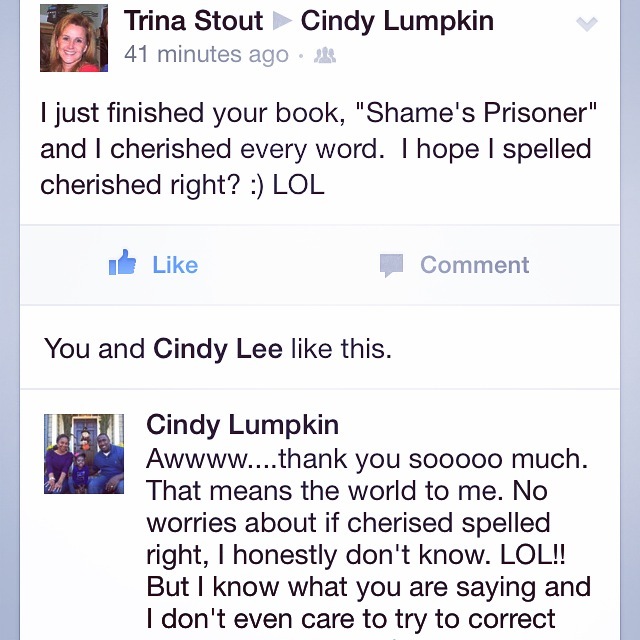 She read my blog and had a good laugh. She sent me the following message. Thanks for helping me to be an honor student. Seriously!!!! I wouldn’t have made it without late night calls. Priceless! The people who really love you will always cheer you on. Please, just for me, if you have a Dyslexic in your life. Let them know how much you care about them, how much you are rooting them on in life. We really need to hear that some times. Hack! Everyone needs to hear that. Just recently, I went home to the small town place where I was reared. I had a really big event, which I hope to blog about in the near future. But I received a message from a fellow Dyslexic. I can’t tell you how awesome it was meeting her. 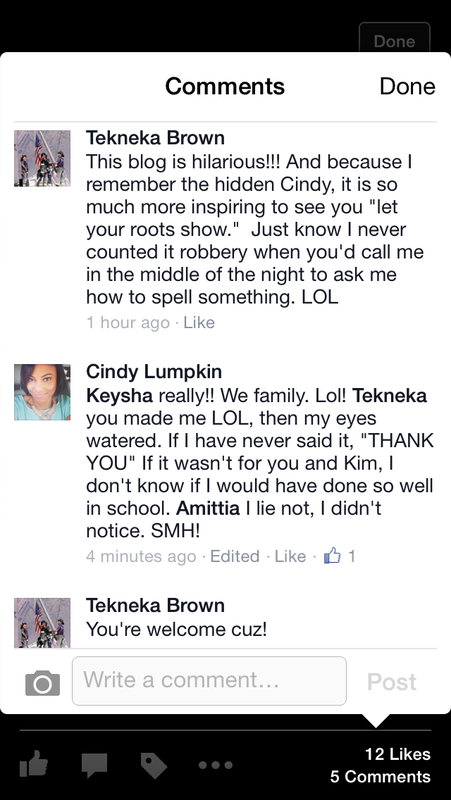 She is a teacher, who happened to be named a Teacher of the Year. You see, we can do great things. But when you can inspire someone who inspires you, who face all the same challenges you face, and who still overcame, it just the best feeling in the world. Keep an eye out for my book, I will be releasing it soon! 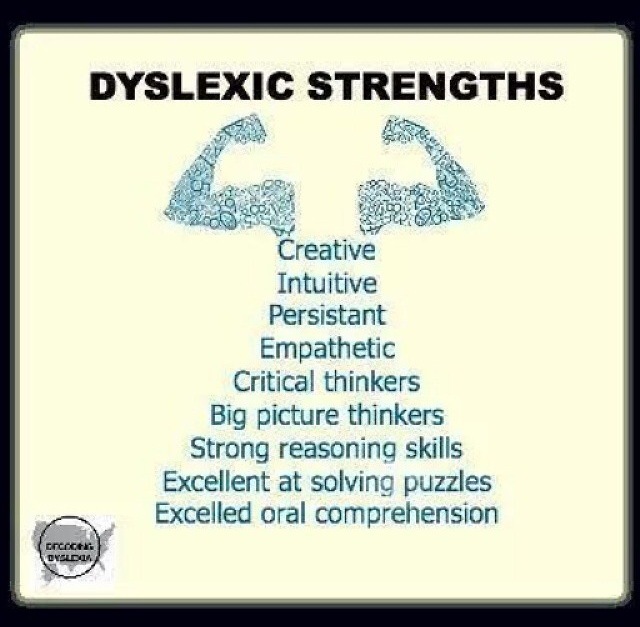 Besides our spelling issues, Dyslexic people have some pretty cool strengths. 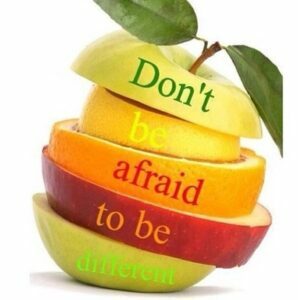 I encourage you to be yourself. The world is full of copycats. We need originals. It’s easy to focus on what you can’t do, let’s try focusing on what we can do. I know I wont. Please join me!